Would you like to know what connects a humanitarian worker, poet, and mountaineer? And do you sometimes get tired of your professional world? Then you don’t want to miss TEDxBrno. This unique format combines creative, courageous and communicative people and gives them an opportunity to look beyond their professional worlds. There will be no less than 15 live talks given at TEDxBrno with this year’s theme Journey. Most of them will be in Czech but simultaneously interpreted in English by our colleague Katka Báňová. You can look forward to a humanitarian worker Šimon Pánek, an entrepreneur Margareta Křížová or a physical poet Petr Váša. Lectures are strictly limited to up to 18 minutes. As a global phenomenon, TEDx was born in 2009 from the prestigious TED (Technology Entertainment Design) platform for ideas worth spreading. To this day, 12 500 events have been held in three quarters of the world’s countries. There are dozens of TEDx events happening every day. The first round of tickets have been sold out in a few hours but the ticket sale continues till Monday, May 11 specially for Brno expats. Till then you will be given preference from the wait list. Treat yourself to the unreproducible TEDx atmosphere this year! 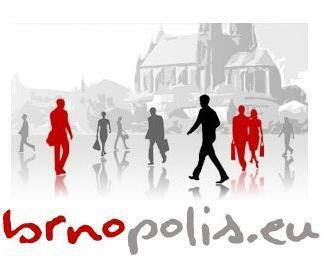 Brnopolis, the NGO standing behind and running the BEC, celebrated its 10th anniversary last year.